Shopping centers offer a tempting array of bewitching items which you may not find elsewhere. 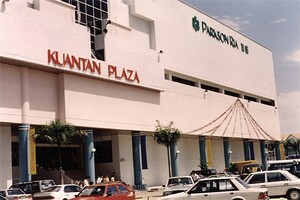 In Kuantan, the modern Teruntum Complex, Berjaya Megamall and Kuantan Parade offers great shopping in air-conditioned comfort. 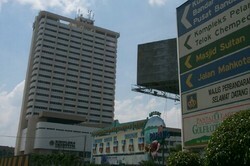 Beside cinemas, bowling valley, fast food restaurants and other facilities are made available. Shopping in comfort, style and convenience are some of the keyword that will please you. 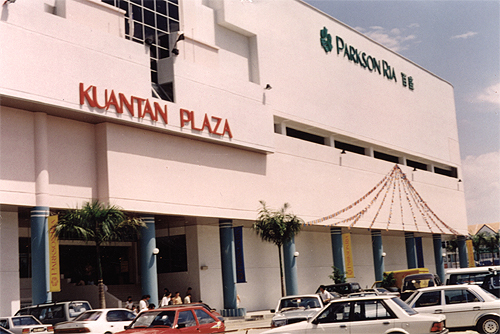 Kuantan Parade provides excellent trading opportunities for food, entertainment, fashion, services, household items, gifts, hobbies, fashion accessories and etc.. Kuantan Parade's anchor tenant space about 110,000sq feet, 3 floors and 700 car park spaces. Other Tenants: Watson's, Guardian Pharmacy, McDonald's Kiosk, KFC, Pizza Hut, Poh Kong, Speedy Video, Body Glove, Bookstore, Boutiques, Handicraft Center, Capcom Station, Gintell, Nike, Focus Point, Computer Shop, etc. 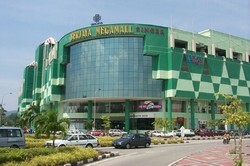 The Berjaya Megamall is as big as the name suggests. One of the most exciting shopping destinations on the peninsula�s east coast, the Berjaya Megamall is a shopper�s paradise! Be it entertainment, amusement, shopping or dining, Berjaya Megamall promises something for everyone. 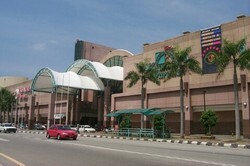 You can find this exciting mall smack in the middle of Kuantan�s new Central Business District. It pulls in the crowd week after week with the largest amusement theme park in Kuantan. Aside from the four floors of about 300 retail outlets, the mall also has a five-screen cineplex. Seven anchor tenants flank the mall. Other Tenants: FOS, Vincci, Giordano, Bonia, Sembonia, cr2, Carlo Rino, Viss, Puma, Sketcher, Radioactive, Camel Active, Hush Puppies, Scholl, Bata, Converse, Wah Chan, Watson's, The Bodyshop, McDonald's, KFC, Pizza Hut, Kenny Roger Rooster, Rasa Ayamas, Starbucks Coffee, 7-Eleven, Poh Kong, Popular Bookstore, Boutiques, Handicraft Center, Gintell, Osim, Ogawa, Nike, Focus Point, England Optical, GNC, Computer Shop, Cosway, GSC, Holiday Planet, Megalane Bowling Center, etc.